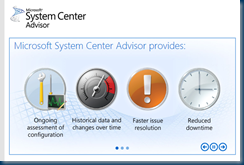 System Center Global Service Monitor helps achieve a 360-degree view of the health of web applications. 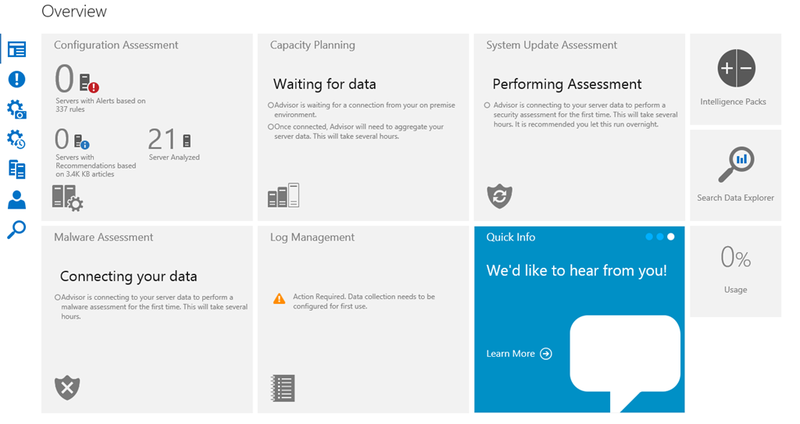 It uses Windows Azure points of presence across the globe, monitored alongside existing data found within the familiar System Center 2012 Operations Manager console. Global Service Monitor reports on availability, performance, and function of web applications by scheduling and executing synthetic transactions against the application from Windows Azure. Global Service Monitor also helps unify tooling and processes, integrating with Microsoft Visual Studio and Team Foundation Server to enable new DevOps scenarios that better align operations and development roles. Global Service Monitor can save time by building synthetic transactions from existing Microsoft Visual Studio web tests and speed issue resolution by delivering IntelliTrace-based issue reports direct to a developer’s Team Foundation Server work item queue. 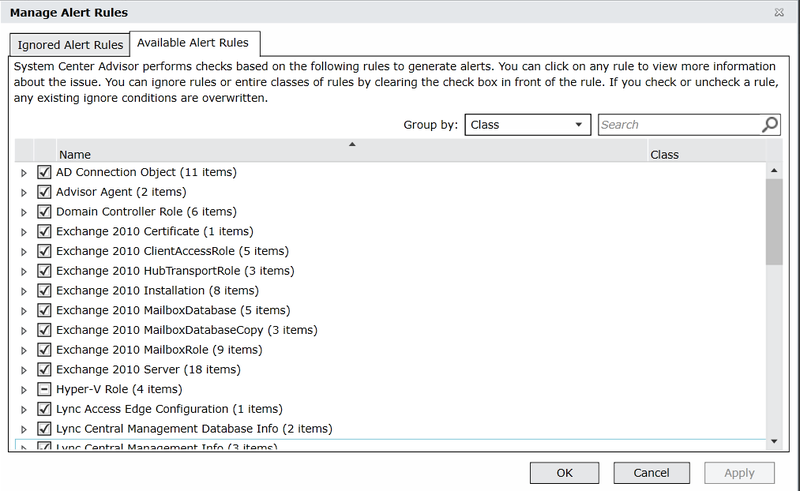 System Center, Microsoft Team Foundation Server, and Microsoft Visual Studio also enable DevOps scenarios for test lab management, integrated incident management, and production diagnostics. These capabilities help reduce the cycle times in managing testing environments and reduce the MTTR (mean time to repair) in resolving production incidents. Visit the Visual Studio application lifecycle management (ALM) site for more information on these DevOps capabilities. At the highest level, the Cloud OS does what a traditional operating system does – manage applications and hardware – but at the scope and scale of cloud computing. The foundations of the Cloud OS are Windows Server and Windows Azure, complemented by the full breadth of our technology solutions, such as SQL Server, System Center and Visual Studio. Together, these technologies provide one consistent platform for infrastructure, apps and data that can span your datacenter, service provider datacenters, and the Microsoft public cloud. Key to this consistent platform is a set of common technologies and capabilities that extend across those three datacenters. 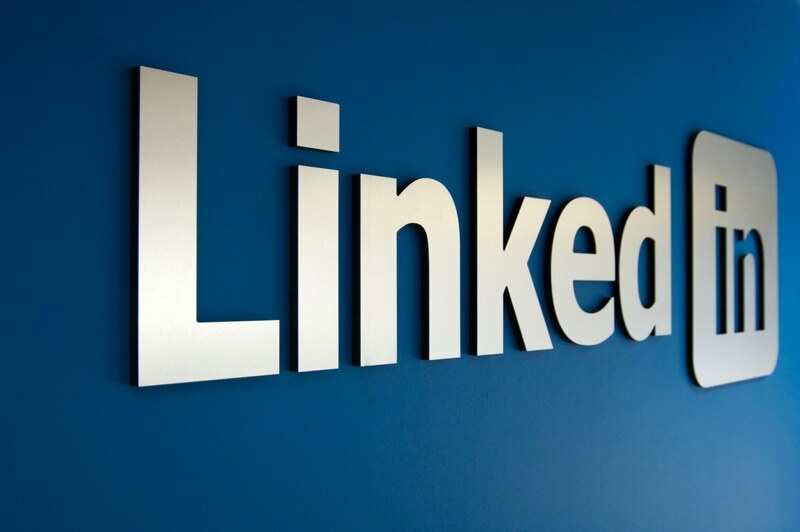 · Flexible development allows your organization’s developers to use their choice of tools, languages – Microsoft or open source – and open sta ndards to quickly build apps, connect them with other apps and data, and then deploy on premises, in the cloud or in a hybrid model. 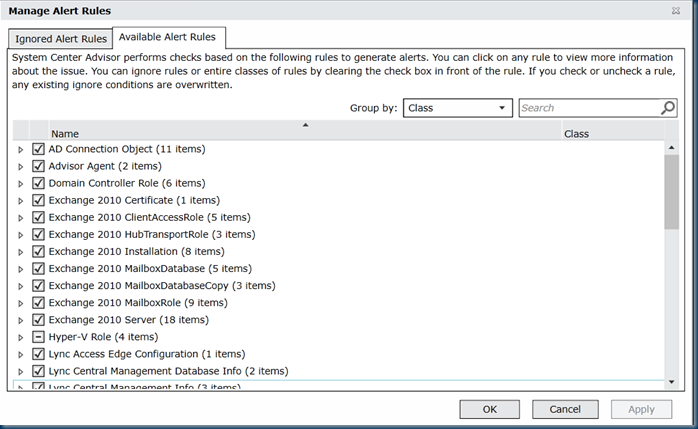 Visual Studio and Team Foundation Server enable application lifecycle management, from the idea to deployment of an app. · Unified management with System Center and Windows Intune gives your administrators a single pane of glass to manage applications, systems and devices across private, hosted and public clouds. · Active Directory and Windows Azure AD provide a powerful base for single identity across clouds to securely extend applications to people and their devices. · Integrated and portable virtualization, built into Windows Server, allows your team to virtualize not just servers, but also the network, storage and applications across clouds. · Last but not least, a complete data platform powered by SQL allows you to manage petabytes of data, power mission critical applications and give businesspeople BI solutions with a range of tools – Excel all the way up to Hadoop. 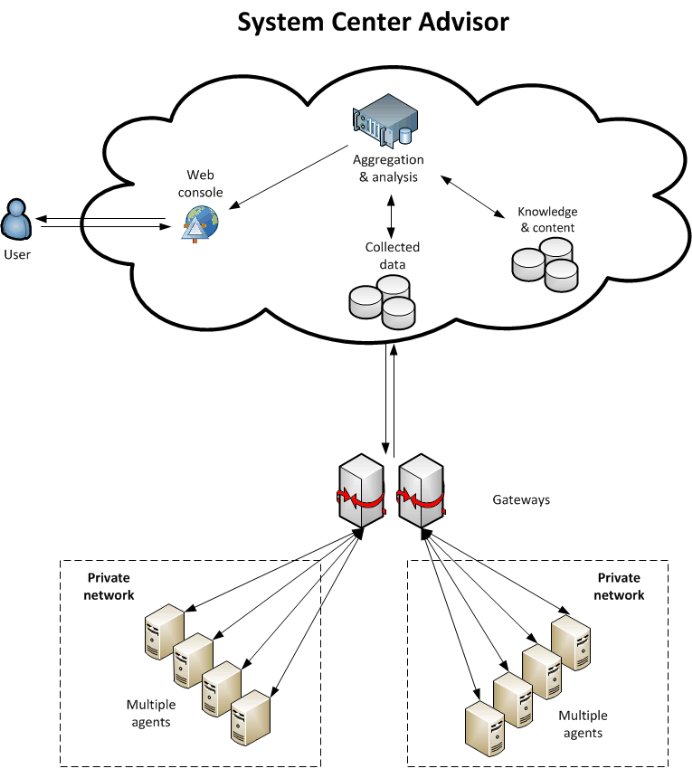 a free trial for Global Service Monitor (GSM) which is a new Windows Azure-based service that provides web application performance measurement from a user’s perspective. 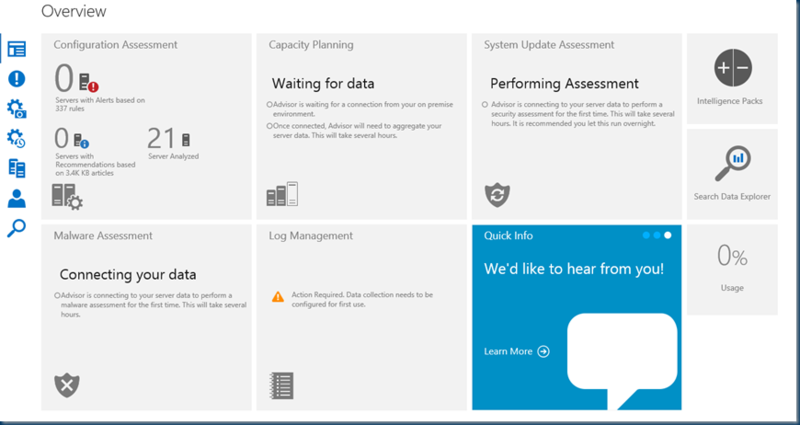 Today, we’re pleased to announce commercial availability of this Windows Azure-based service to our customers with active Microsoft Software Assurance coverage for their System Center 2012 server management licenses. Learn more about how Global Service Monitor enables a broader dev-ops solution along with Microsoft’s developer and ALM tools. Go here to sign up for the service today. Also, you can go here for additional information on GSM country availability. Please note the service is available only in an English language version. 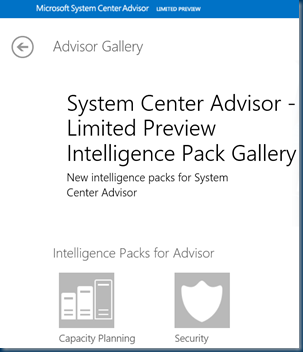 Also, earlier this month, we announced that System Center Advisor now supports Windows Server 2012 as well as Microsoft Hyper-V Server 2012 as workloads for which you will be able to receive configuration analysis, as well as the release of Update Roll-up 3 for System Center Advisor, which corrects a number of bugs on installed agents. 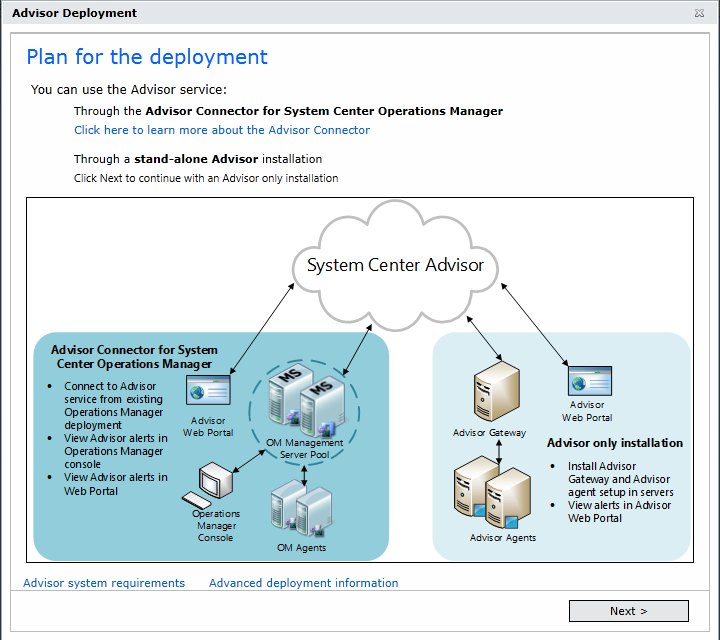 You can sign up for System Center Advisor here to. In the basic it is just Opsmgr 2007 but it gives advise what error you have , missing updates, All the thing you want to know if there is something wrong. 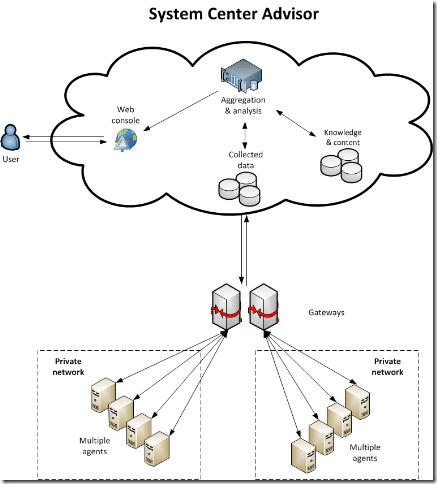 So why pay an external company for hosted opsmgr. most of them are only money collectors. reading the screen and send by email the error. 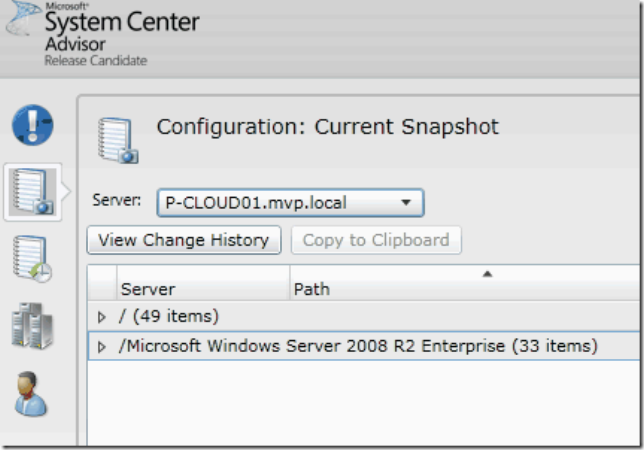 Now you can use Microsoft KB and the best off the SCOM package. I tested it now for a while and is handy to get a first impression what kind of errors are there , updates,status etc. For those who know MRAS Performance and Reliability this was way before scom and you get indepth reports. 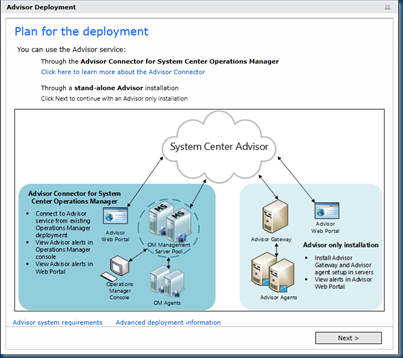 System Center Advisor (http://www.systemcenteradvisor.com) is an online service that analyzes installations of Microsoft SQL Server 2008 (and later versions) and Windows Server 2008 (and later versions). Advisor collects data from your installations, analyzes it, and generates alerts that identify potential issues (such as missing security patches) or deviations from identified best practices with regard to configuration and usage. 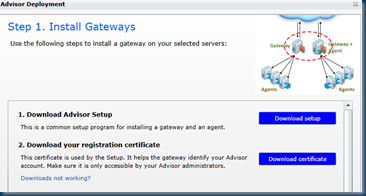 Advisor also provides both current and historical views of the configuration of servers in your environment. 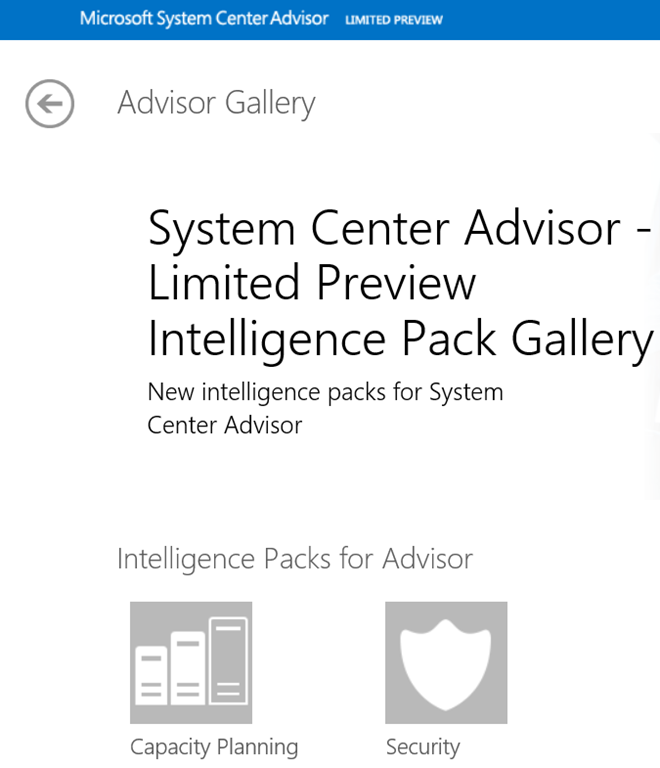 Advisor is developed by the Microsoft System Center Advisor product group in partnership with Microsoft Support engineers to ensure that the issues customers report to Microsoft are detected before they affect your environment. Advisor is regularly updated to reflect the most recent experiences of these engineers, who support customers around the world. 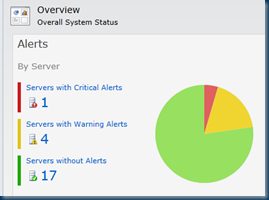 The Alert overview , This server needs SP1 and other updates , Yes Wsus does this to. 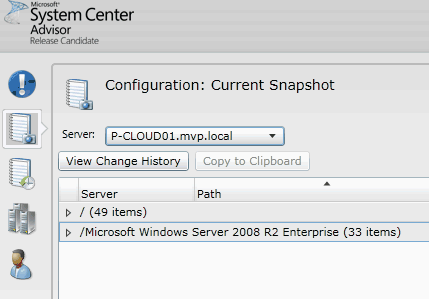 The Configuration overview Servers. Lots of info here. And the options of the errors , what to do with it or jumb to the configuration of the server. To see if there are changes in the hardware or software. Easy access and to use, the installation is less than 5 min , setup , next next , done.